Milan started playing Amtgard in Oregon in Iron Keep under VSR. Prior to joining up, he toyed around in the SCA. More of a Politician than a field fighter, he attempts to do all the little things that allow a holding to continue to meet, grow, function, and play. With the release of V8, he has absolutely no idea how bard works anymore. Due to his titled Lordship, this is a current goal of Milan to grow this section properly. 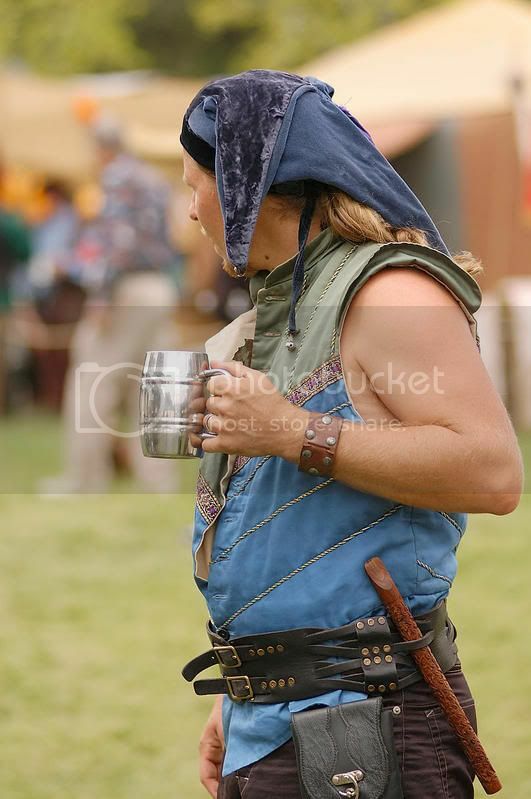 Has autocratted amtgard's presence at several Ren Faires in his time. Jumped off a rather large bridge at Iron Keep when a "Visit" went poorly. Awarded Lordship by Prince Euric of Westmarch in April 2008. Has served in the past as Guildmaster of Bards and Monsters on various occasions. Sheriff / Baron August '08 to February '09. Passed the worlds greatest audit ever. This page was last modified on 5 September 2013, at 12:11.